In a sign that maybe Tim Burton really is the evil genius suggested by his hair, The Hollywood Reporter brings word that the director once known for his startlingly original vision and now known for his limp adaptations of existing properties will helm Disney’s live-action Dumbo movie. The film is the newest in a line of present and future live-action remakes Disney is planning for its classic animated films, having strayed dangerously close to an original idea with the “very, very loosely adapted” Big Hero 6. As we reported earlier, the new Dumbo will actually be a blend of live-action and CGI, which sadly means that Johnny Depp probably won’t play the eponymous elephant. He could play Dumbo’s circus mentor Timothy Q. Mouse, however, or, should something go terribly wrong, one of the jive-talking crows Timothy and Dumbo meet after Dumbo flies into a tree during a champagne bender. 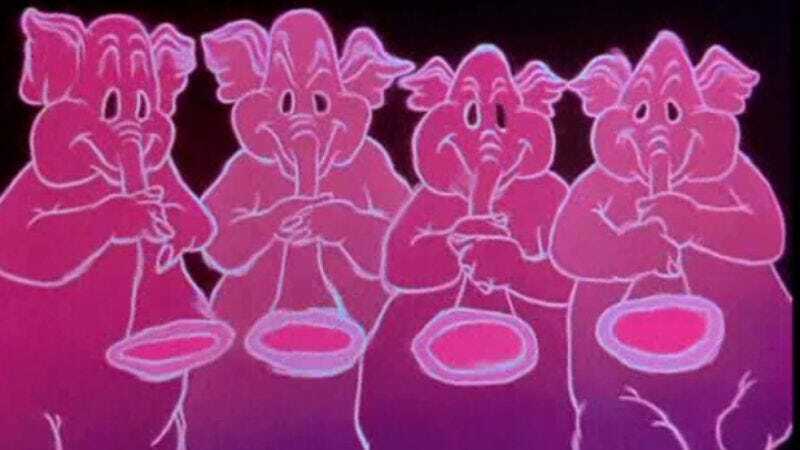 One would hope that Disney would know better than to include a group of characters frequently derided as racist stereotypes when remaking one of its movies, but the Dumbo script was reportedly written by the guy who also wrote Transformers: Revenge Of The Fallen—a.k.a the one with the jive-talking robots—so you never know.